Calling All Animal Hero Kids & Teens! 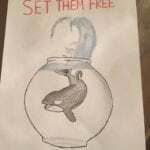 FAREWELL TILIKUM, we advocated for your freedom. When I was 17, I was trapped in an elevator with my best friend. We banged on the aluminum doors and yelled, “Help, we’re stuck in the elevator,” until finally someone answered. Three hours later, the fire department came to our rescue. The doors opened to the crowd who had gathered, and we were free from our temporary cell. Three hours doesn’t compare with the 33 years Tilikum, the captive orca bought by SeaWorld, suffered in their watery nightmare version of being trapped in an elevator. 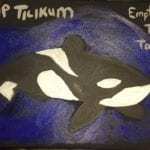 In 1983, Tilikum was stolen from his family pod in Icelandic waters as a 2-year-old infant. 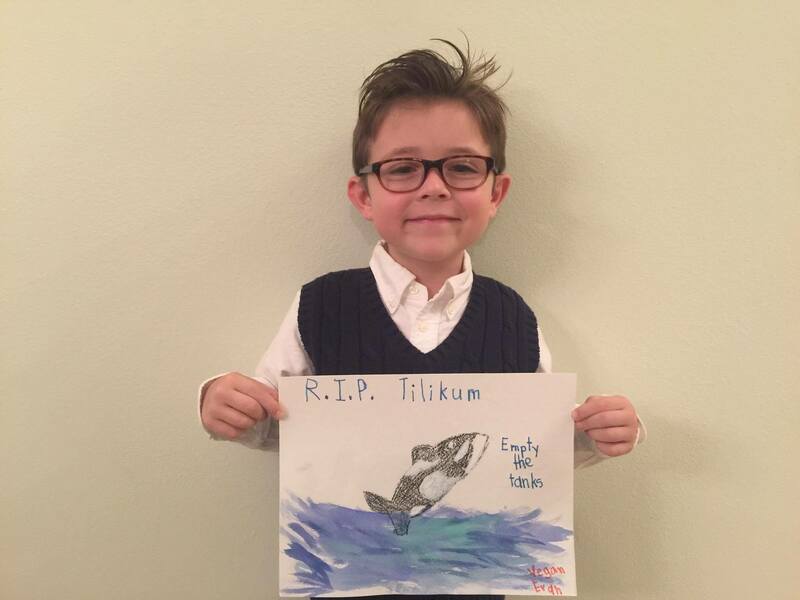 On January 6, 2017, death finally freed Tilikum from his prison. An orca’s life expectancy in their natural habitat is considerably longer than in captivity. A 102-year old free orca named Granny led her Pacific Northwest pod through the Pacific ocean. 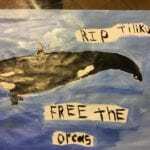 The most common cause of death by captivity is pneumonia in which marine mammals die with liquid in their lungs. In the late 80s, before the advent of the internet, I would print out reports I gathered from the National Oceanic and Atmospheric Administration Miami Office (NOAA). Inevitably, the death reports of captive dolphins and orcas named pneumonia as the cause of death. 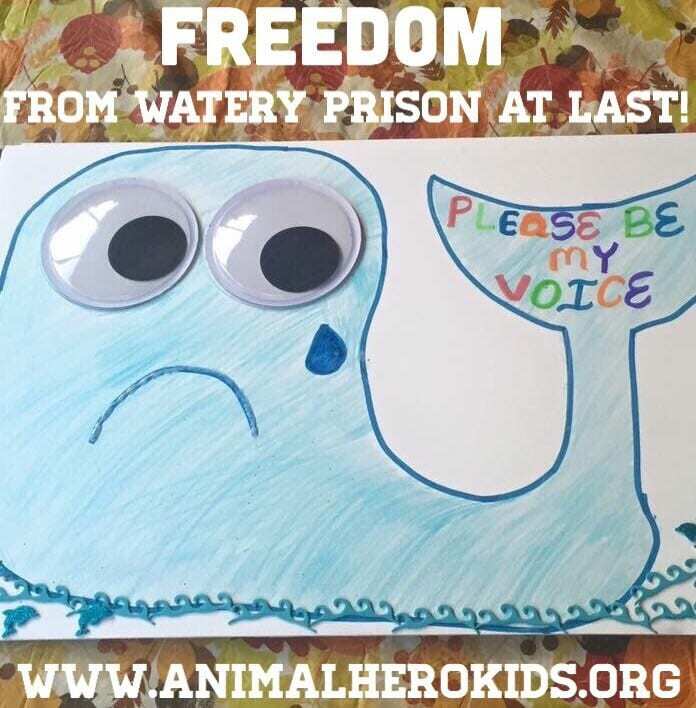 Imagine swimming free with your family pod in native open waters up to hundreds of miles a day and then being violently ripped away from your family, only to be kept alone in a barren concrete tiny pool for the rest of your life. 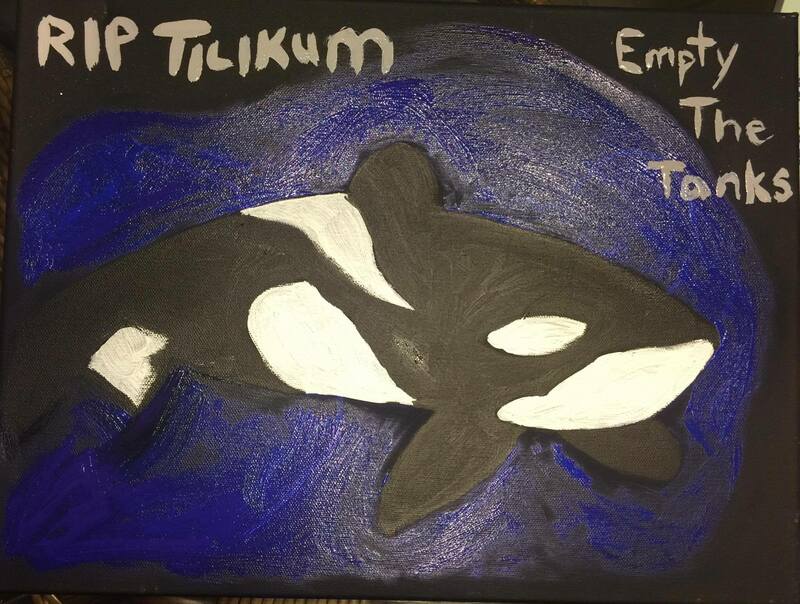 That was the life of Tilikum and is the life of other captive marine animals. I maintain allowing liquid into an animal’s lungs is the captive marine mammal form of suicide, a giving up, with a broken spirit and a drooping dorsal fin. Each and every individual, human or non-human, deserves to live free of pain, distress, trauma, captivity, abuse and harm. For the good of finned, furred or feathered creatures, Animal Hero Kids promises to double the size of our reach in 2017 with your help. Our Animal Hero Kids kind2all education programs instill empathy and equip youth with the tools to help all animals. 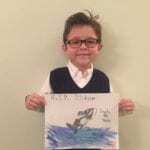 Animal Hero Kids co-presidents from 4 to 15 years of age are active in Ohio, California, Texas, Georgia, Seattle and Florida. 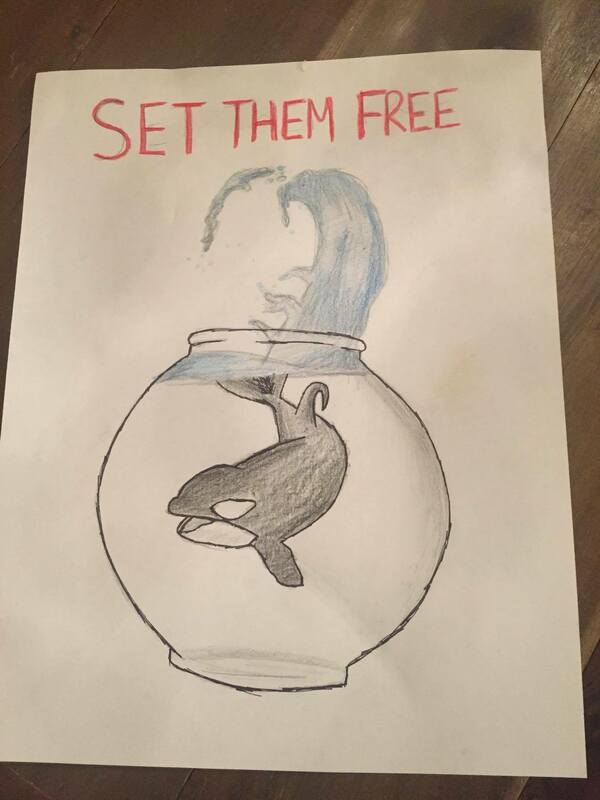 You can see them in our Freedom4Orcas video. 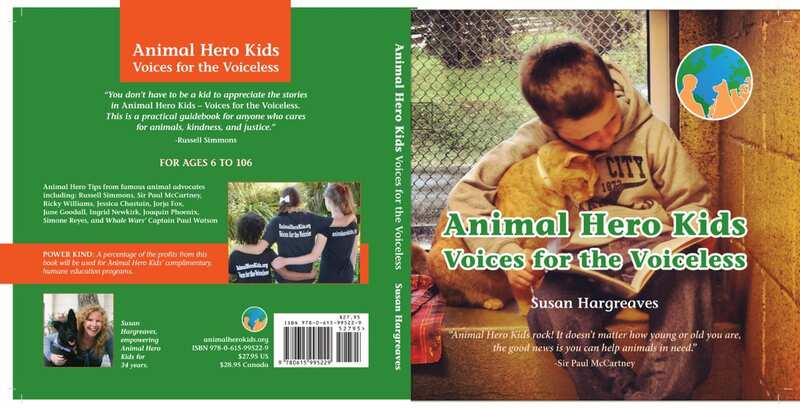 The stories detailed in the Animal Hero Kids Voices for the Voiceless book highlight the courageous and compassionate actions of children and teens rescuing and advocating for all species of animals. In 2017, we are focused on succeeding to gift each school library with this never before assembled-in-one publication series of heartening tales, complete with classroom activities and tips on being a hero to animals. Let’s raise our voices together. We are their only voice. We are their only chance. 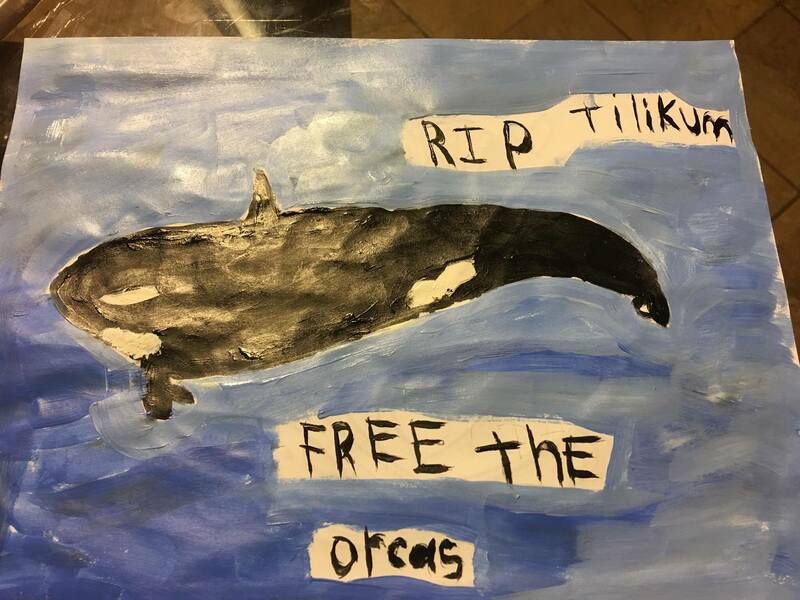 Genesis was featured in THE VEGAN MOVIE as well as the Animal Hero Kids Voices for the Voiceless book & shares her plea for captive animals, like Tilikum. 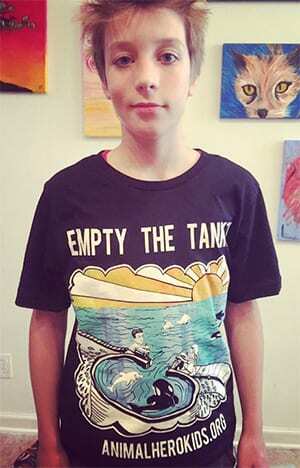 Joseph is featured on his way to Sea World to protest animals in captivity.